The site needed to be easy to update with massive amounts of data from a variety of sources including their in-store POS system. The look needed refreshing to create site-wide consistency and mirror the modern elegance of the physical stores. We also wanted to bring a little of the in-store experience to the web by creating content-rich education areas customers could browse at will. Work on a site this large starts with a thorough content audit and an analysis of current site analytics. By fully exploring and understanding every piece we were able to structure the content in a way that let customers browse intuitively and without being overwhelmed. Sections were carefully mapped and each page’s content/layout relationship was examined before development ever began. 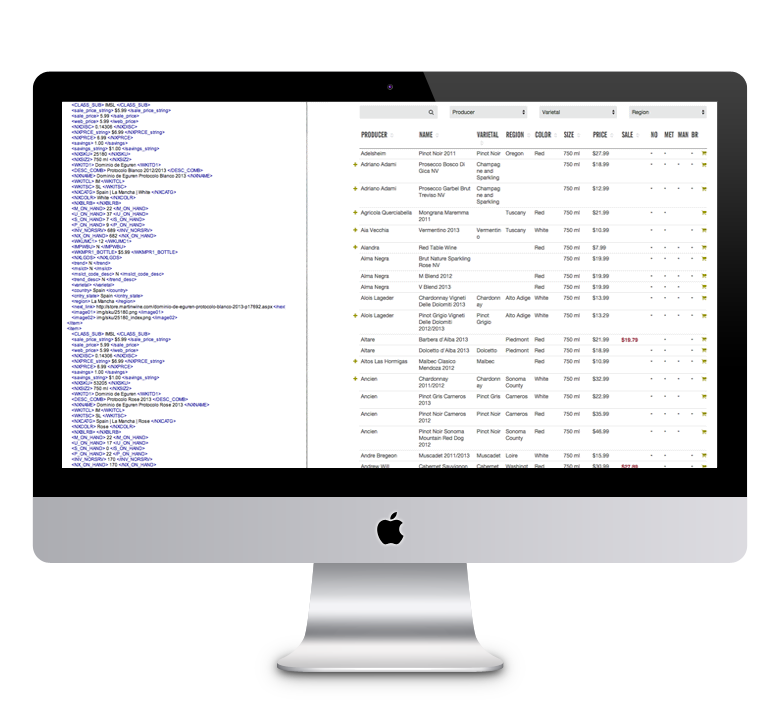 Managing an online catalogue with thousands of products is a daunting task. When you add the need to update store-specific deli menus, catering menus, events at multiple locations, ever-changing promotions, staff information and product education, the likelihood of chaos is high. Building each content type in its own easy to update format allows Martin’s in-house team to make the changes they need on-demand without any code knowledge required. We always place an emphasis on usability across device and platform, even when it’s difficult. Tables present a particular challenge to the mobile user as there are very few good ways to display massive amount of data on very small screens and keep the same functionality as the desktop experience. Through a lot of custom programming, we were able to craft a table browsing experience that works for the shopper on every screen. All the product information is shifted and reordered according to the width and no detail is left behind. Filtering is also supported to assist the user in finding exactly what they seek. “I think that Martin Wine Cellar has the best site in retail.”Kyle K. – Republic National Distributing Co. The response has been overwhelming. Immediately upon launch, Martin’s inbox and social media exploded with praise. Customers, vendors and suppliers all love the new site and it doesn’t stop there – The site was a 2014 Silver Davey award winner as well.